Is Marcellus Shale Natural Gas A Mineral? Decision with huge lease implications appealed to Pennsylvania Supreme Court. Last Friday, a Susquehanna County couple on Friday asked the Pennsylvania's Supreme Court to reinforce that a nearly 130-year-old 'Dunham rule" ruling applies to Marcellus shale natural gas. The biggest, unanswered question right now is whether the commonwealth's highest court will take up the appeal. That appeal came out of the Court of Common Pleas case in Susquehanna County, Pa. There, the lower court upheld the 1882 "Dunham rule" declaring that natural gas isn't a part of mineral rights. WHO OWNS THE GAS? Natural gas leases specifying mineral rights, but not natural gas, may be subject to a Pennsylvania Supreme Court decision. After a state Superior Court overturned the lower ruling, the landowners appealed the case to the Pennsylvania Supreme Court. If heard and upheld by the Supreme Court, ownership of the Marcellus shale gas rights would stay with the original deed. That would potentially affect thousands of leases and deeds in the state. One of the Susquehanna County landowners involved in this case is Herbert Kilmer who previously had asked the courts to invalidate his lease because the royalty payments fell below the one-eighth share of royalties – after drilling costs were deducted. The Supreme Court ruled against the landowners. "Even if it was unintentional, the Superior Court did call into question, perhaps not intentionally, but inadvertently, call into question longstanding law on what the term 'mineral' means," says Gregory Krock, a Pittsburgh lawyer representing the couple. "But you also have to realize the case is at an early stage." "With this ruling, it is now not clear who owns the rights to Marcellus gas where there has been a 'mineral' reservation," concurs Ross Pifer, director of the Agricultural Law Resource and Reference Center at Penn State's Dickinson School of Law. The leases may still be valid, he adds. 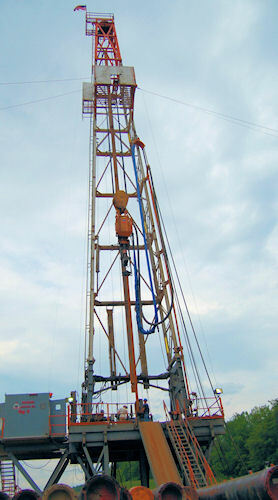 But they may not convey rights to the natural gas buried in the Marcellus shale. The same may be true of natural gas now being tapped in the Utica and other shale formations – in Pennsylvania. And it may raise a litigious challenge as to whether gas rights were conveyed via deeds with surface and mineral rights. Should public know who asks for biofuel mandate exemptions?